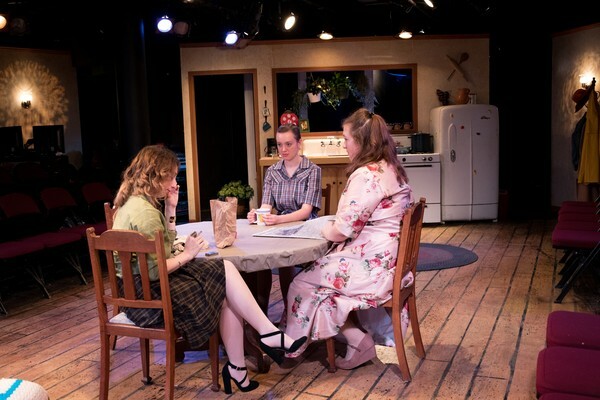 NACOGDOCHES, Texas - The Stephen F. Austin State University School of Theatre continues its SummerStage Festival with performances of Beth Henley's "Crimes of the Heart." Pictured in the opening performance are, from left, North Richland Hills senior Cortney Francisco; Gilmer junior Bethany Trauger; and Sulphur Springs sophomore Kaitlyn McDearmont. "Crimes of the Heart" and "Pinkalicious the Musical" by Elizabeth Kann and Victoria Kann with music by John Gregor will be presented through July 19 on the SFA campus. Visit theatre.sfasu.edu for performance times, dates and venues. Call the SFA Fine Arts Box Office at (936) 468-6407 or visit finearts.sfasu.edu for ticketing information.